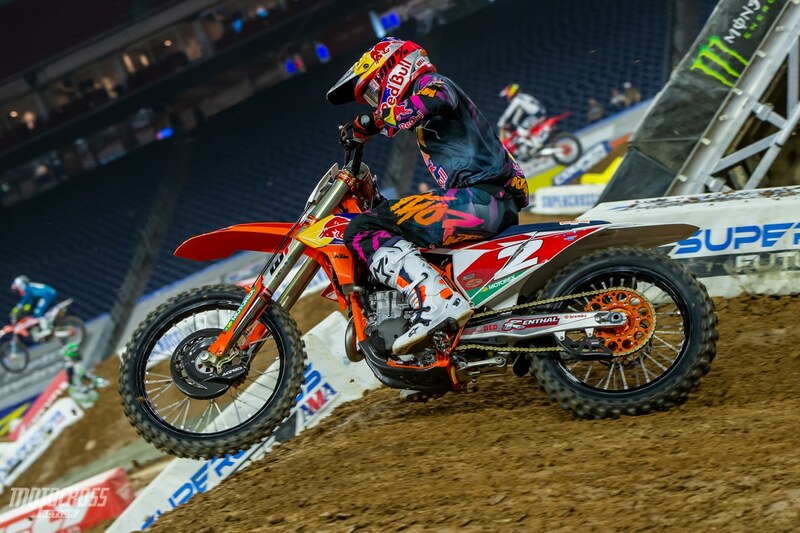 Cooper Webb’s 2-1-3 main event scores were good enough to win the overall in Houston and put the #2 back on top. 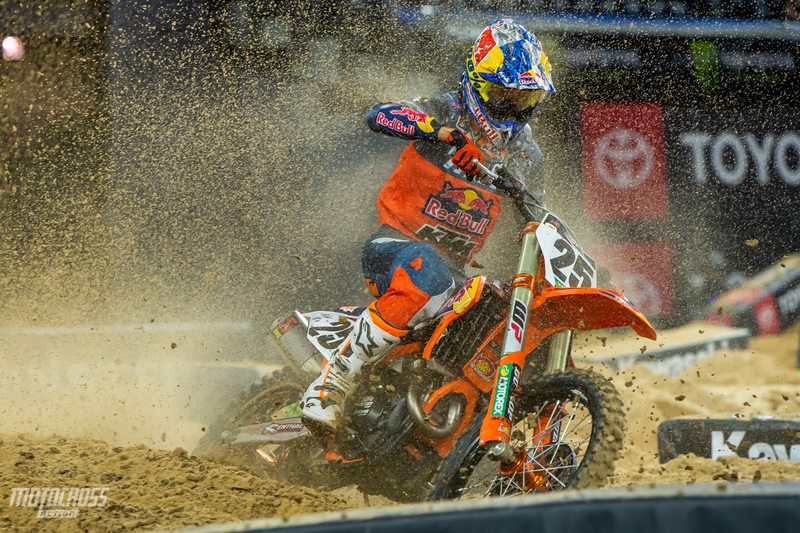 Marvin Musquin had an up and down night, with crashes and mistakes. But he was still able to salvage a second place overall by going 5-3-1 in the main events. Click here for 250 main event results. 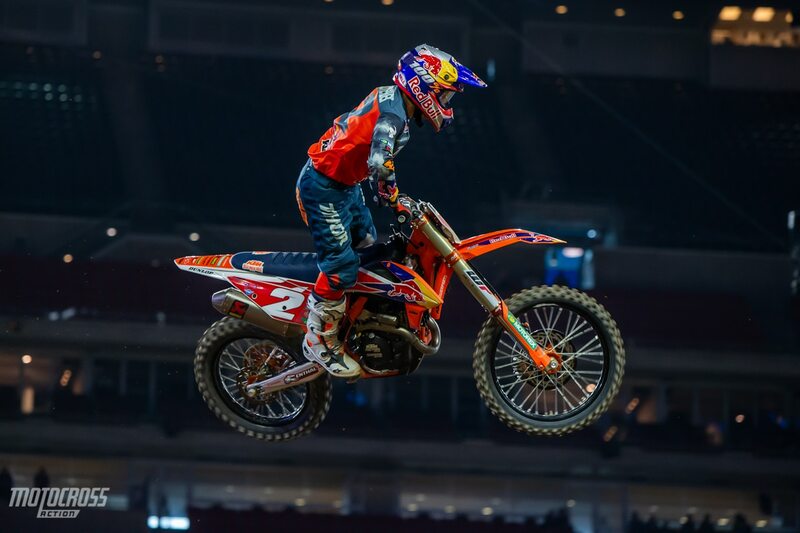 Cooper Webb is back on top as he wins the Houston Supercross. POS. RIDER M1 M2 M3 PTS. 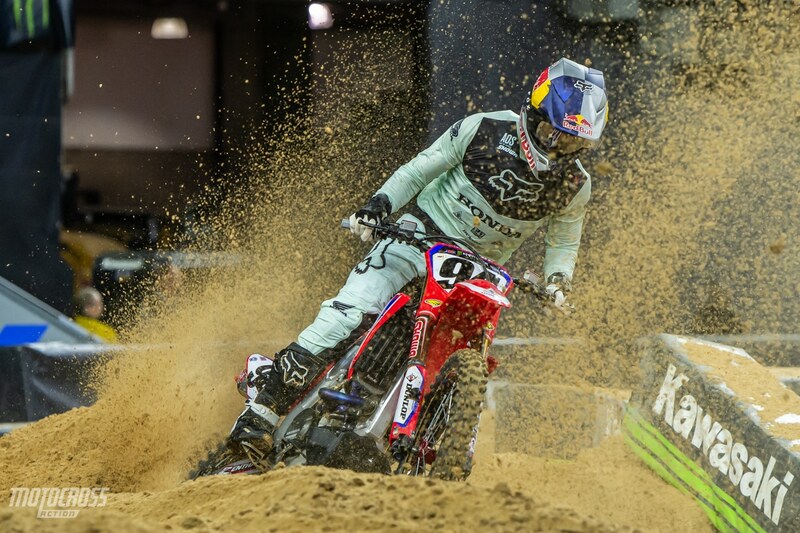 Dean Wilson finishes third overall in Houston. 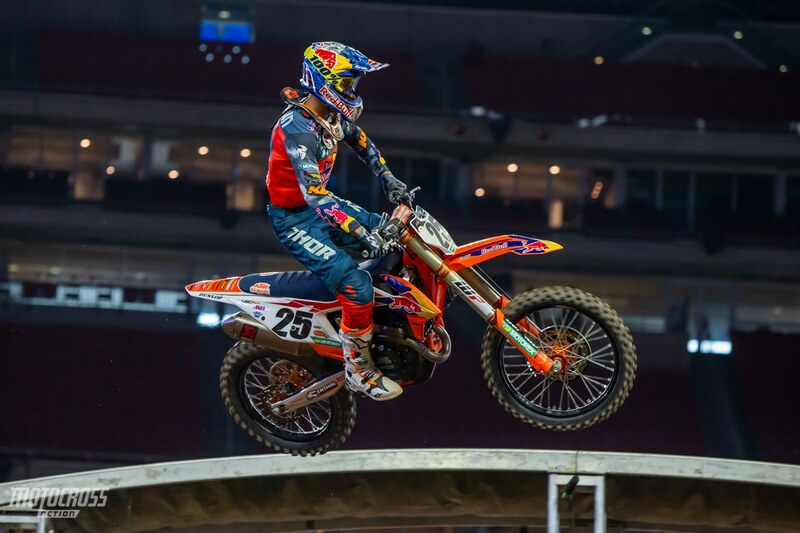 Marvin Musquin wins the third main event of the night. 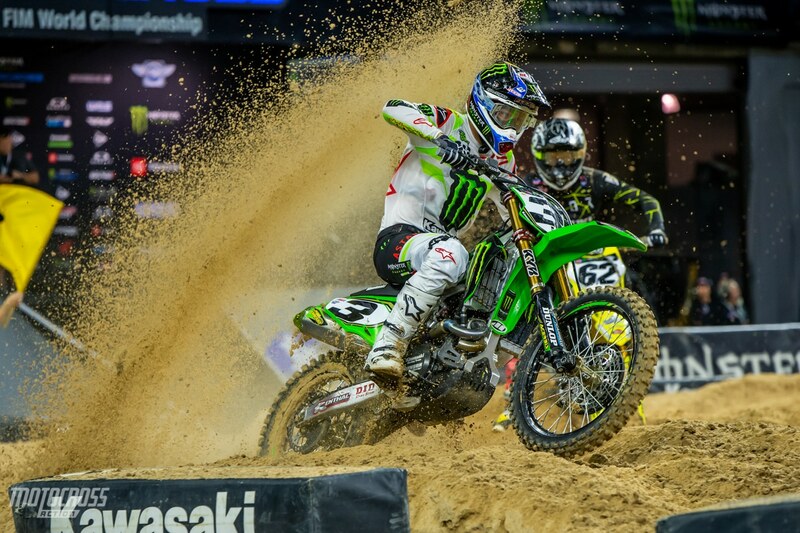 Joey Savatgy got the holeshot, but it was Marvin Musquin who grabbed the lead in the second corner. Marvin went on to win the third main event of the night with Eli Tomac finishing 2nd and Cooper Webb would ride a smart race and finish 3rd. 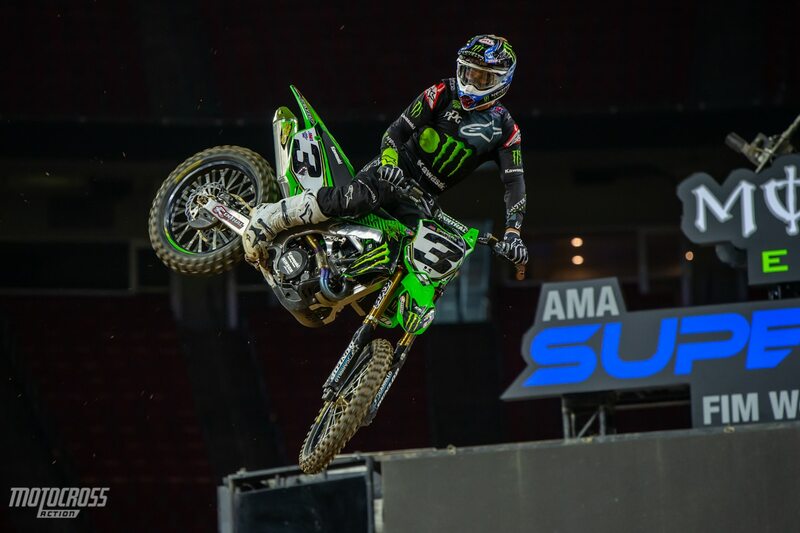 Eli Tomac rebounded after having a rough night to finish second in the final main event of the night. Cooper Webb has proved that starts and consistency are important in the three-moto format. In the second 450 main event it was Cooper Webb who got to the first turn first. Unfortunately Ken Roczen got tangled up in the first turn, he hit Dean Wilson’s rear tire and went down hard. He was quick to get up and limp back to his bike, but after trying to ride a lap, Ken pulled off and rode straight to the Alpinestars Mobile Medical unit. Cooper Webb then rode a smooth race and won the second 450 main event of the night. Marvin Musquin passed his way up to second and he was closing the door on his teammate, but he made a mistake in the sand section and went down. 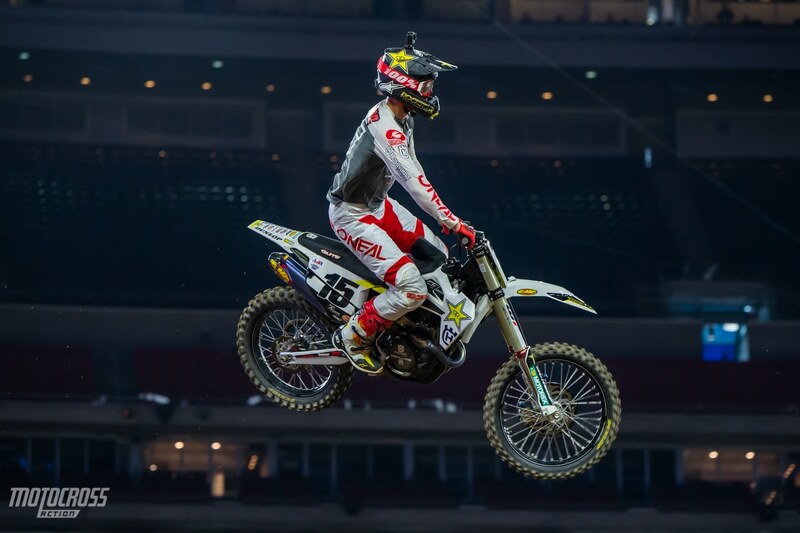 Dean Wilson finished 2nd in 450 main event 2. Marvin Musquin was catching Cooper Webb mid-way through the race, but a mistake in the sand section put Musquin on the ground briefly. He was able to get up quickly and still finish 3rd. 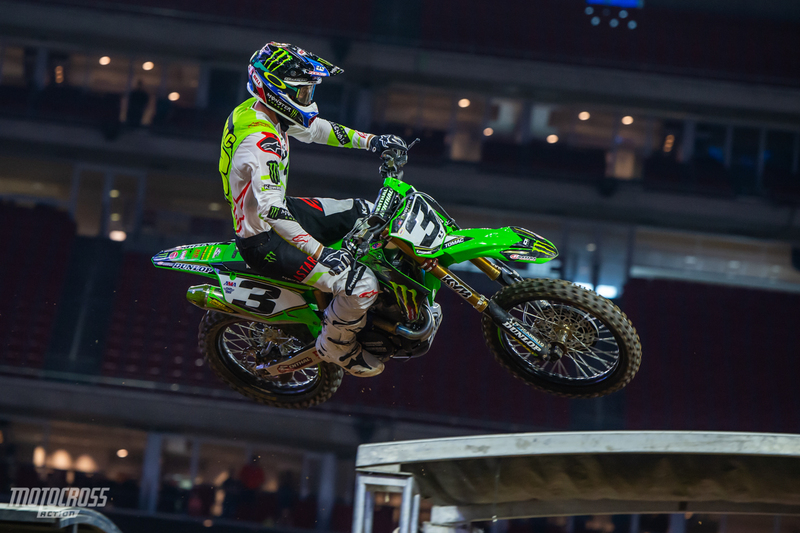 Eli Tomac struggled in the second main event, he finished 7th. Ken Roczen wins his first 450 main event since 2017! 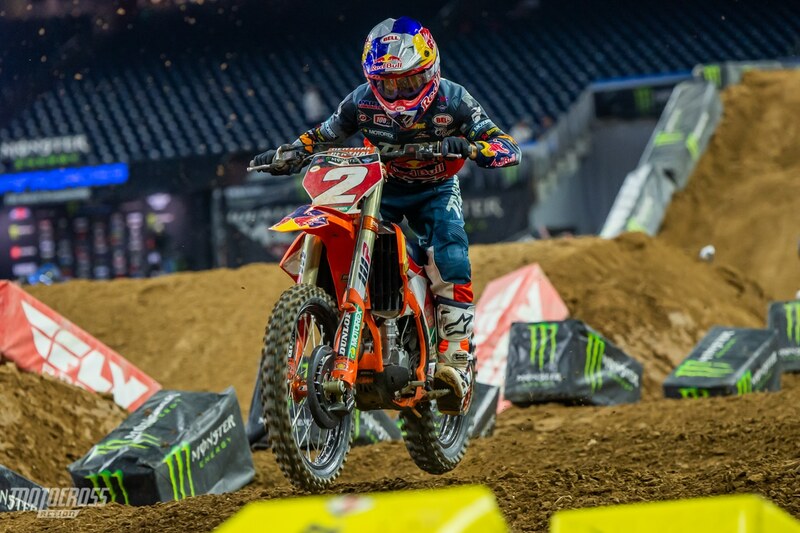 Ken Roczen grabbed the holeshot in the first 450 main event while Cooper Webb and Marvin Musquin began to heat things up for the first time this season! Marvin Musquin block passed his teammate and the current points leader, Cooper Webb in the second turn and Cooper was not happy about it. Cooper responded with a block pass in the next corner, and then Marvin responded back to that. Finally after trading paint multiple times, Cooper Webb intentionally pushed his teammate off the track. After battling back and forth with his teammate, Cooper Webb charged up to second place. 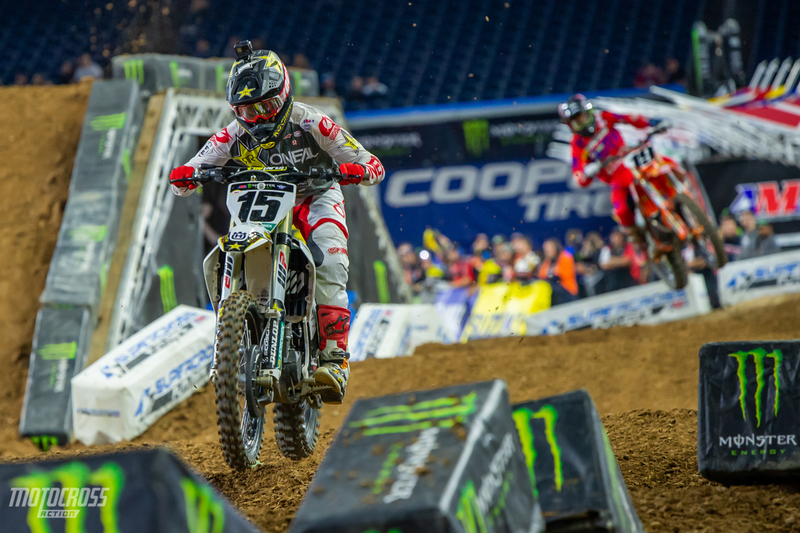 Eli Tomac struggled in the first main event, after running up front he dropped back to sixth place. The Triple Crown format uses an Olympic-Style Scoring Systemso 1st place = 1 point; 2nd place = 2 points, etc. The rider with the LOWEST SCORE(ex. 1+1+1=3 if a rider wins all three Main Events) gets 1st place, and a full 26 regular championship points. 2nd overall pays 23 points, 3rd overall pays 21 points, etc. Cooper Webb currently leads the 450 points in the Triple Crown Championship. Houston is the final Triple Crown event of the year and a Triple Crown Champion will be awarded.